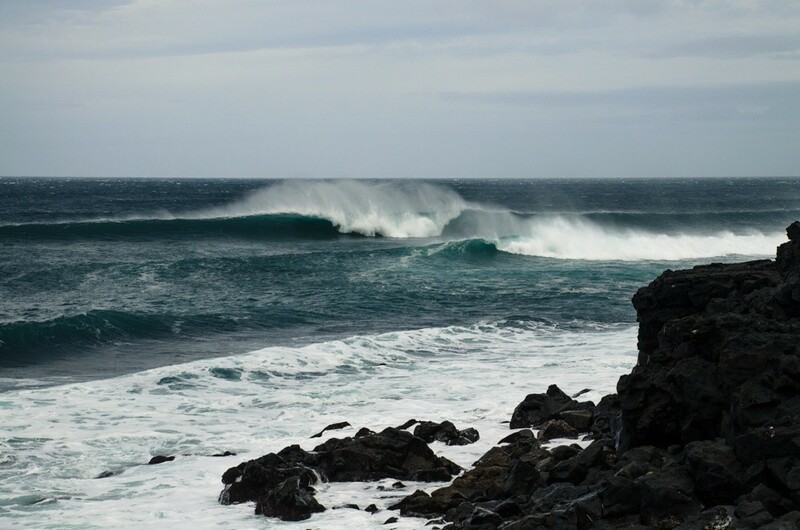 Surf the Azores with us: world-class waves, empty lineups. Although we just surfed for three month straight, we seem never get tired of. The next surf trip to São Miguel, Azores is booked and you can join us for a killer price. 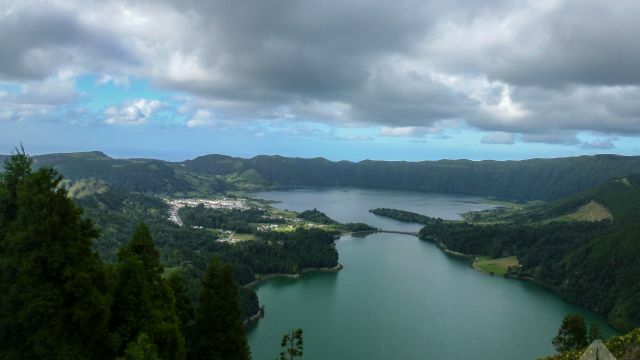 Mid April 2017, we fly to São Miguel to surf the Azores, are a chain of volcanic islands in the middle of the Atlantic Ocean at about the latitude of Lisbon. 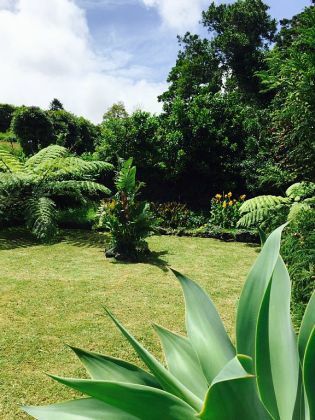 Unlike other islands in the Atlantic, the Azores – and São Miguel in particular – are lush green and therefore considered “The Hawai’i of Europe”. 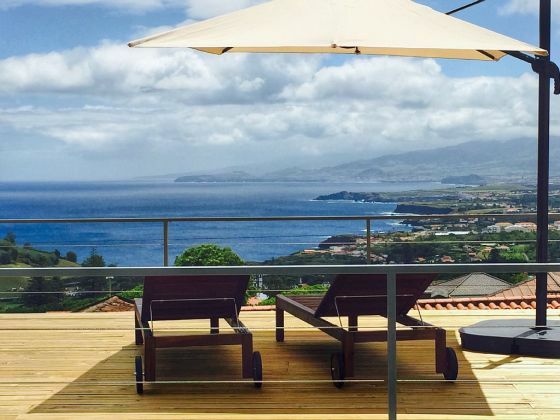 Surf the Azores with gravityking. 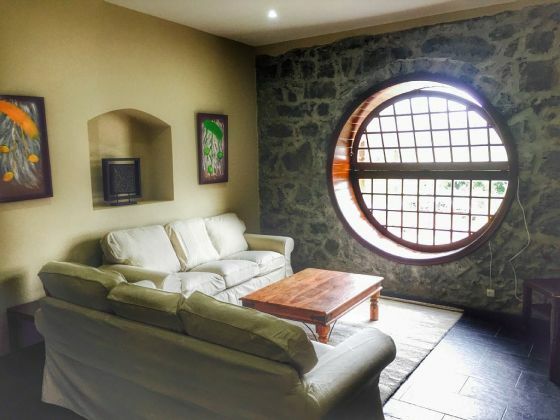 We want to share this beautiful place with you and just rented a big house on the north coast for a month. It’s not your typical surf camp, it’s more like staying with friends and explore the island together. 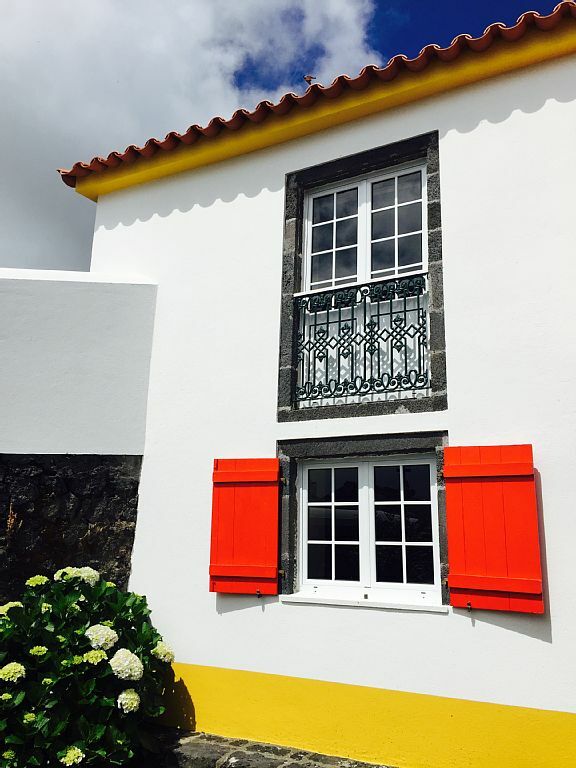 Having spent two weeks on the island in 2015, we can provide you with local knowledge. When and where to score good waves? Where is the perfect sunset? 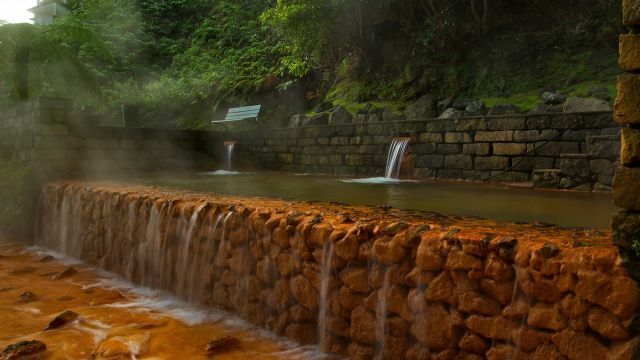 Which thermal pool is the nicest? We checked it out. 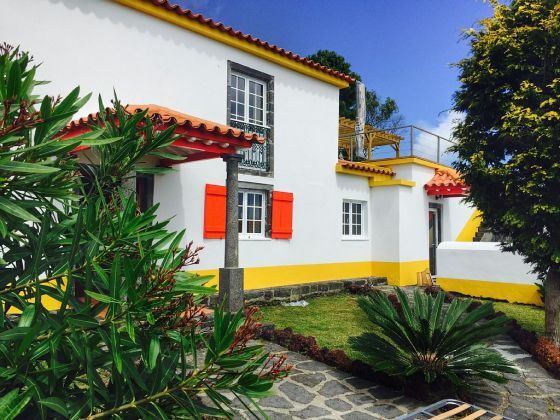 The price per week is €350. Included are accommodation, breakfast, towels, TV/wireless and the use of kitchen, garden, patio and all other amenities of the property. 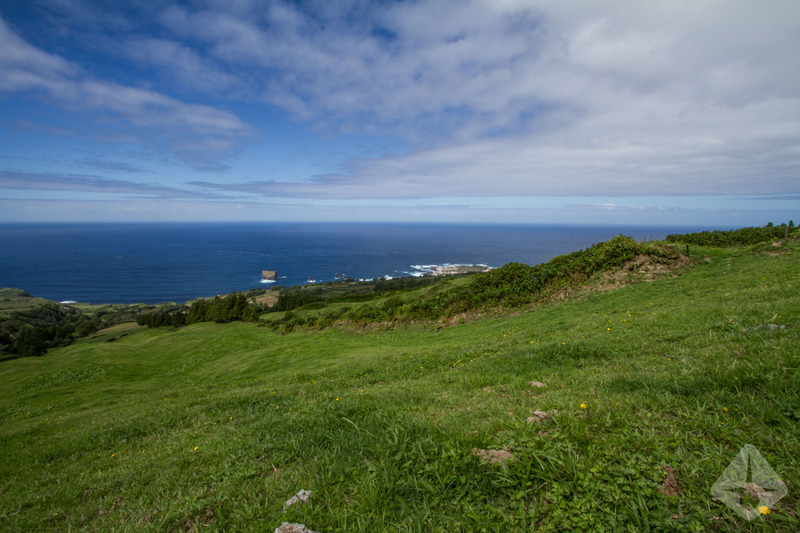 With their position 1’000km out in the ocean, it’s no wonder that the Azores get plenty of swell year round. As almost anywhere along the North Atlantic coast, winter delivers the best surfing conditions, though spring and fall are almost as good. The 360° swell window and the short distance between the north and south coast make the surf very consistent given some local know how. We visited São Miguel two weeks in fall 2015 and surfed almost every day. 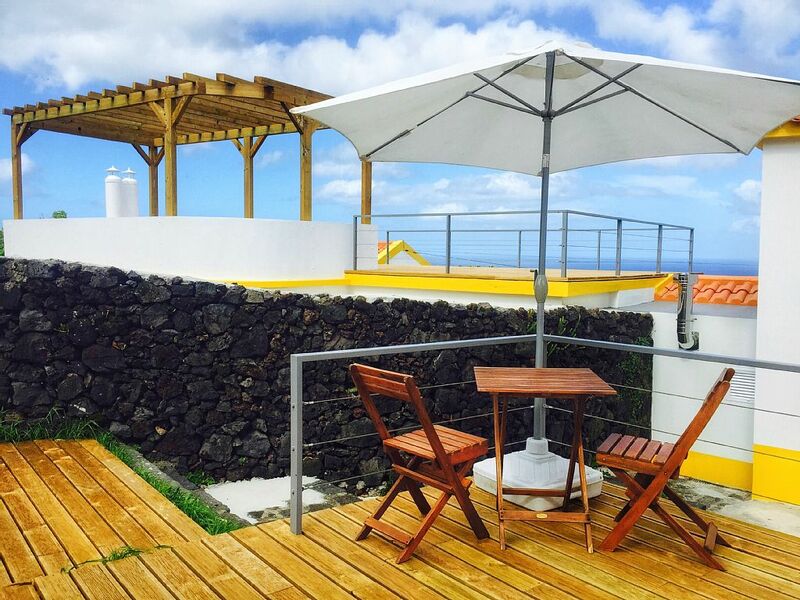 From the peaky beach breaks in Ponta Delgada to the remote lefthand freight train of Santa Iria, the island has it all. The spots are scattered around the island which involves quite a bit of driving, but the roads are surprisingly good (thanks you EU) and a drive from Santa Barbara in the north to Populo in the south is only around 15 minutes. 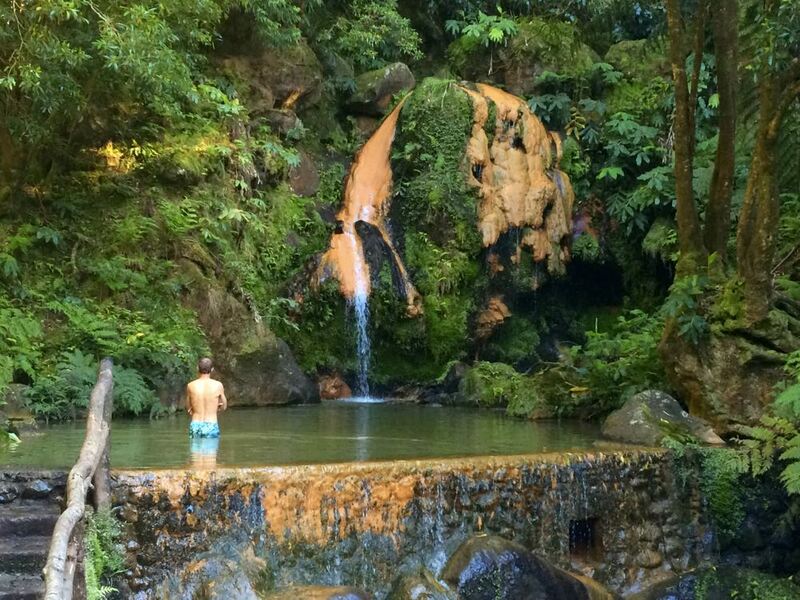 It’s not Costa Rica so don’t expect boardshort conditions. 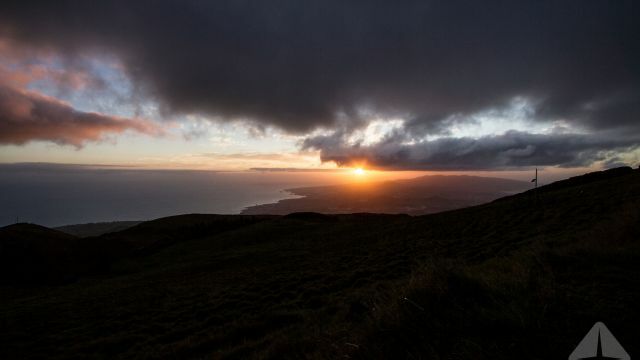 But in fact, the longer we’ve been surfing, the longer we’ve been willing to trade a couple degrees of comfort for uncrowded lineups and that’s what the Azores is about. Every climate chart says something different but in general, the climate is oceanic and therefore quite stable year round. Off course spring is a bit colder than summer, but as soon as the sun pops out, we can expect over 20° C pretty fast. The water will be around 20° C, so a 4/3 will do. 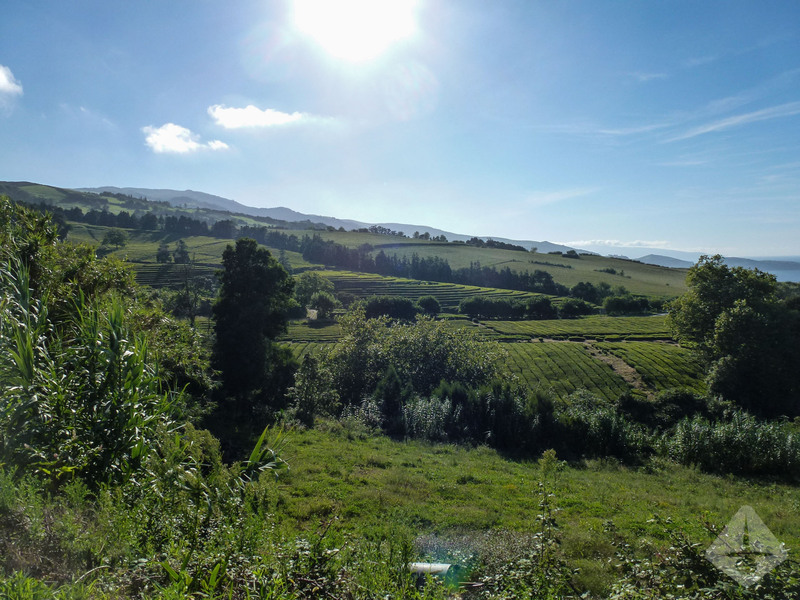 Our house is located in the hills of Capelas on the north coast. From the patio we have a beautiful view down to Santa Barbara, the most consistent beach break of the island. 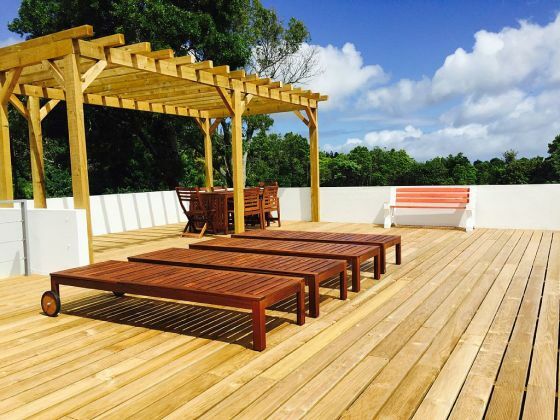 With 4 bedrooms, 3 bathrooms, a fireplace and a lush garden with a BBQ the house has everything we need. Breakfast will be ready every morning and in the evening we will BBQ or go to a restaurant to eat seafood. Of course we offer wireless as well. Capelas is a good starting point, from here you can reach almost any spot on the island within an hour’s drive. To get around you need a rental car which can be picked up at the airport in Ponta Delgada. Compared to the high season, rates in spring are relatively low. 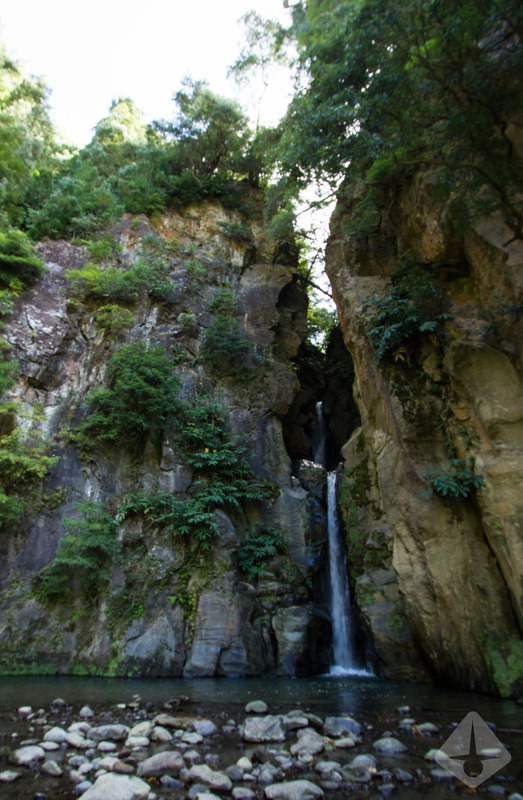 Besides surfing, São Miguel has a lot of sight seeing and nature to offer. 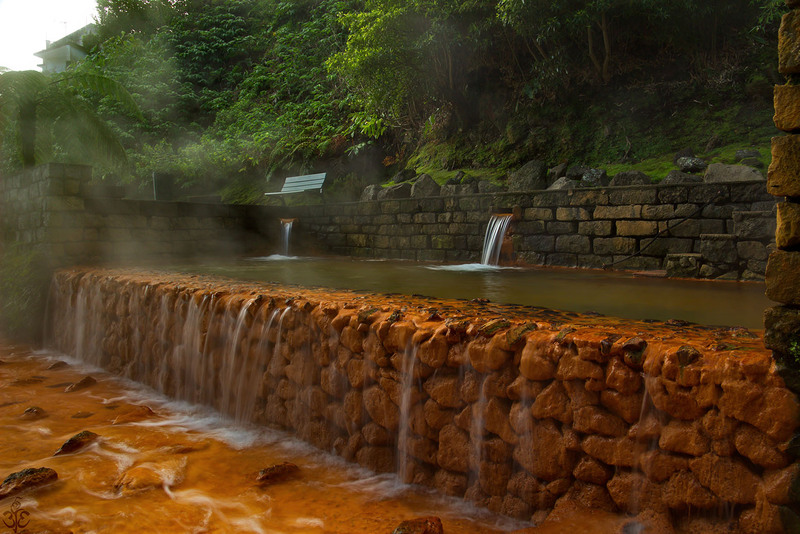 Old fishing villages, geothermal activity, hiking, mountain biking, swimming in crater lakes and much more, you name it. We don’t offer transportation, but have a local partner. Make sure you opt for a rental car or ask us, as getting around without one is nearly impossible. 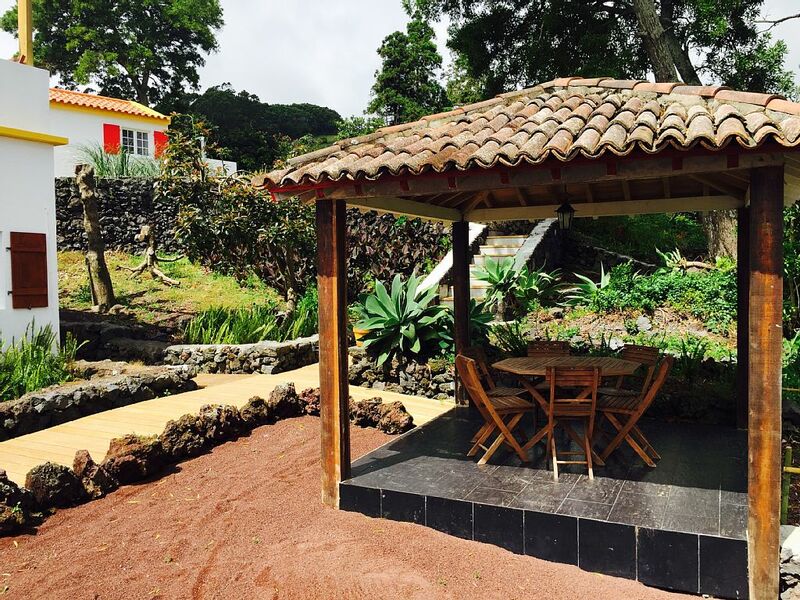 Poca da Dona Beija is for a perfect chill out after an exhausting surf session in the south. 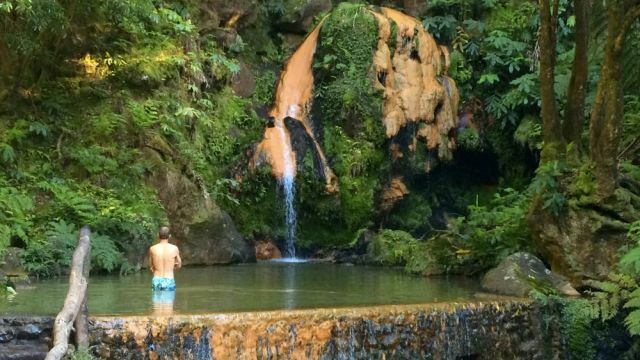 Caldeira Velha is another natural hot pool. Catch it early in the morning to have it on your own. 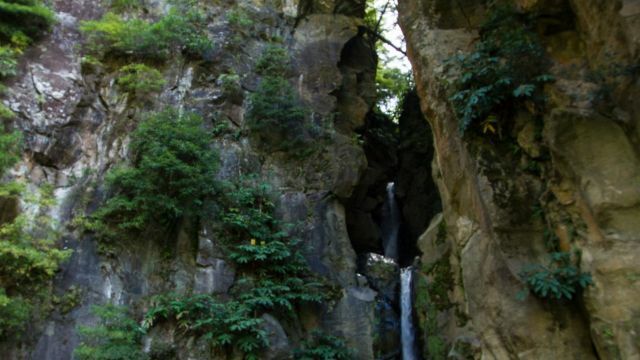 Go hiking and you will find waterfalls. 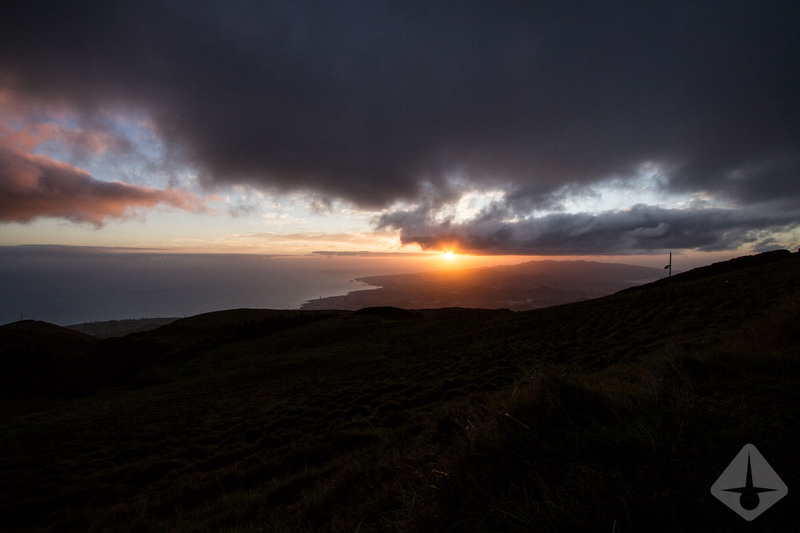 Sunsets on São Miguel look like that if you wath them from one of the volcanoes. The beautiful fishing village Mosteiros with holds a left and a right. 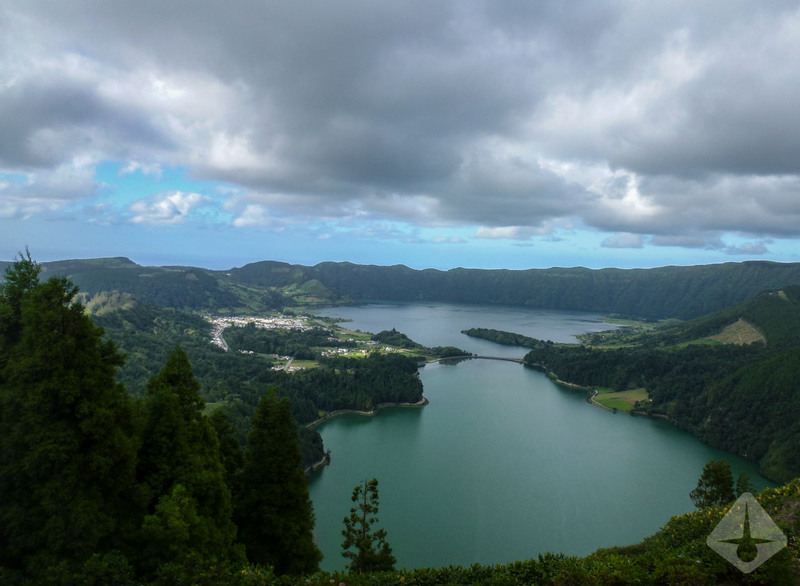 Sete Cidades is on top of Sao Miguel's "must see" list. 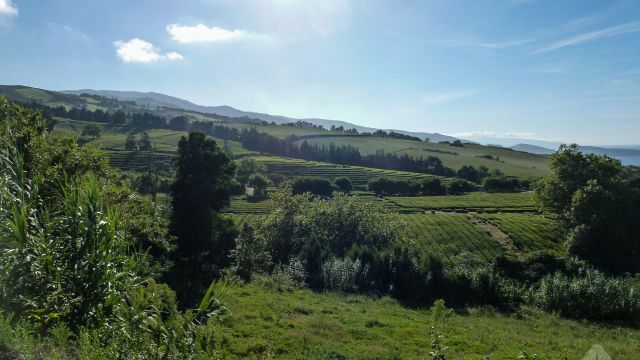 São Miguel is home of the only European tea plantation. 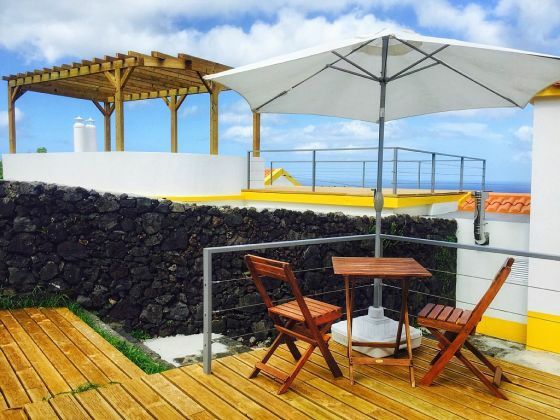 Another reason why we like the Azores: flights are relatively cheap. 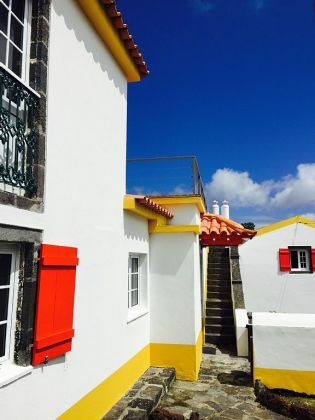 TAP flies into Ponta Delgada (PDL) on a daily basis from Lisbon with flights starting around € 250 for mainland Europe flights on weekends (ZRH-LIS-PDL) at the moment. 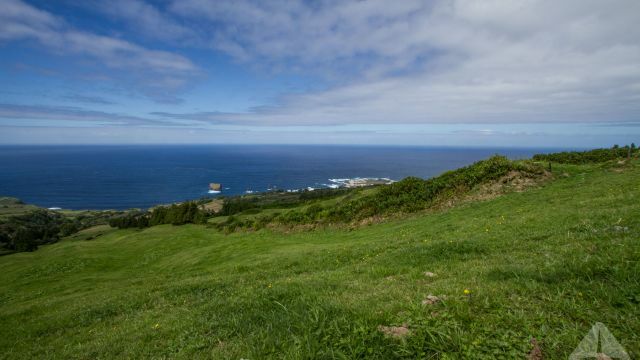 EasyJet offers service on Tuesdays, Thursdays and weekends (Sat/Sun) and Ryanair approaches São Miguel as well.